Treasurer Scott Morrison’s appeal to voters with his first federal budget announced overnight (Tuesday) was also given a boost yesterday with the Reserve Bank of Australia cutting interest rates by 0.25 percentage points to a new historical low. 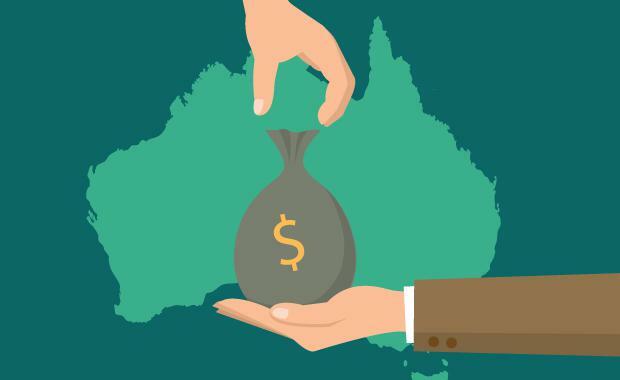 With a backdrop of an uncertain global economic environment, the transitioning Chinese economy, possibility of renewed volatility in financial markets and concerns about potential lower growth over time in many economies, the budget has been generally well received by Australia’s property industry. Hon Scott Morrison MP[/caption]“Our research and policy advocacy over the past six months via the Prime Minister, the Treasurer and the Cities Minister has focused heavily on gaining support for these two outcomes. It is pleasing to see the government support for these initiatives in this budget,” said Mr Corcoran. Home buyers and the housing industry will benefit from the steady path that the Budget has plotted for the economy and the country’s cities according to the Housing Industry Association. Graham Wolfe, HIA’s Chief Executive for Industry Policy said, “the Budget measures reflect a measured path to budget recovery that should add to the confidence that the home building industry and its customers need to make home building and renovating decisions. “When combined with the decision taken today to lower the Official Cash Rate, which have already started to flow through to housing interest rates, the Budget will help maintain the residential building industry’s capacity to make a significant contribution to employment and economic activity,” Mr Wolfe said. “The reduction in the company tax rate, its immediate extension to businesses with turnovers up to $10 million and the continuation of the $20,000 asset write-off program will also help the small businesses that dominate the residential construction industry, to grow their employment and investment. “The Budget measures to support new approaches to funding the essential infrastructure that our cities need to grow have the potential to unlock fresh opportunities for home buyers and improve housing affordability. “Coordinated approaches to infrastructure delivery among all levels of government can only be to the benefit of our cities and towns. The Government’s decision to leave negative gearing unchanged in the budget was the appropriate one, according to property investment company Aviate Group’s Managing Director Neil Smoli, who reinforced the importance of making negative gearing accessible to investors in new developments. “Some of the negative gearing discussion leading up to the budget did not properly take a long term view of any potential policy changes, so it was perhaps the safest option to leave the current arrangements in place,” Mr Smoli said. “The important role the property industry plays in an economic sense is clear, and negative gearing does support new construction and the supply of new rental stock, which alleviates the reliance of low income earners on public housing. It’s widely expected that Prime Minister Malcolm Turnbull will shortly formally announce the election campaign.